This is Inside the Twister III on the design wall. 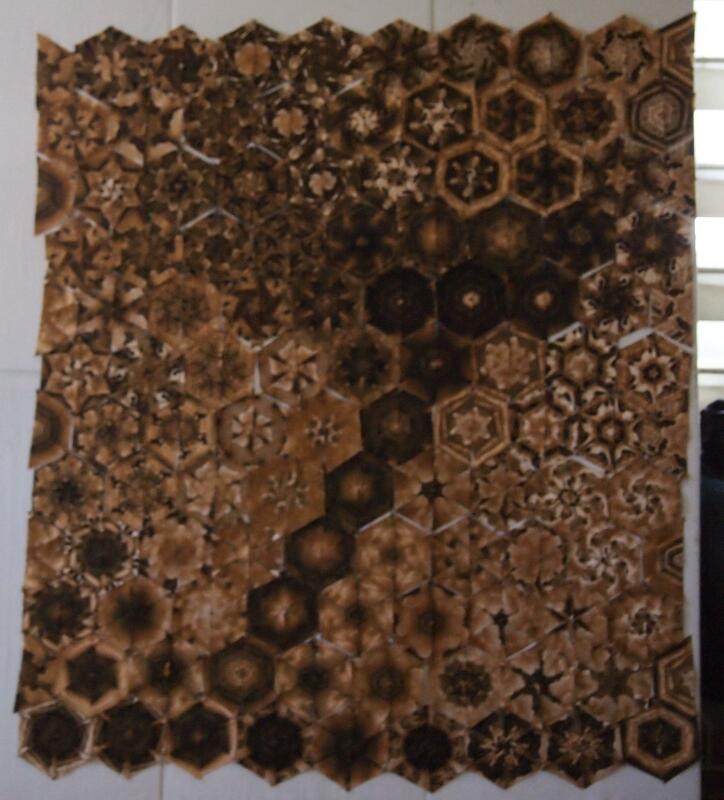 It is made from Wizard of Oz fabric in sepia tones. I am a Wizard of Oz Fanatic. This entry was posted in Hexagon Quilts and tagged Hexagon Quilt, Wizard of Oz on September 14, 2012 by ifthesethreadscouldtalk.